Bitcoin and the entire cryptocurrency market is crashing this morning, which means that a bunch of people who never talked about bitcoin as of a month ago are now smugly assuming its demise. Here is but one example of the mainstream discourse right now. Bitcoin's price plummets. Really?? So you’re telling me the magical, nonexistent, internet currency isn’t working??? I don't completely blame the mainstream for their smugness today. We're programed to dunk on anything that challenges the status quo in this country, and bitcoin was explicitly created as a bulwark against the existing order: it has the title of a Financial Times article about bank bailouts coded into its genesis block. 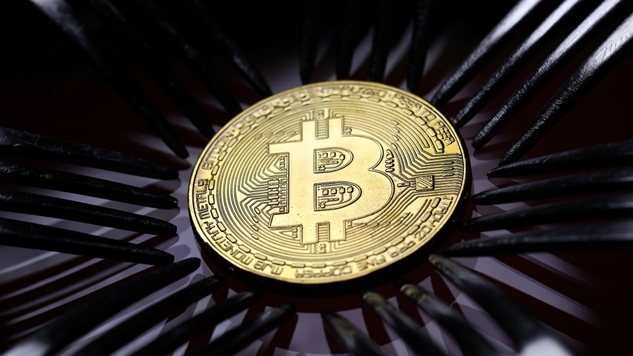 Bitcoin exists as a challenge to the international monetary system, but because it has the moniker of “cryptocurrency,” it is assumed by the uninformed to be something that it isn't. Bitcoin, and all these other cryptocurrencies, are not currencies. They're oil for software platforms. They're commodities. Think of it this way: oil is one of the most important financial benchmarks in the world, yet oil is not something most of us experience in our day to day lives. However, products that are built off of oil—like plastic or gasoline—are ubiquitous. It's difficult to see why anyone should care about cryptocurrency right now, given that its applications aren't obvious—but that's because the next generation of apps on the blockchain platform are not ready. We don't have a blockchain version of plastic yet, so it's hard for non-technical people to see the value in this stuff, since it's still mostly theoretical. Think of it like an arcade. You can't do anything on a blockchain without spending some bitcoin first, just like you can't play a video game at an arcade without inserting a coin. The software platforms known as blockchains are where the value really lies in this space. “Cryptocurrency” is just one part of that platform. When I invested in Ethereum, I didn't actually buy Ethereum, but ether—the software gas that makes its software platform run (this isn't a literary device, cryptocurrency literally functions like oil or gasoline in this ecosystem). This is where the confusion lies in investing in cryptocurrency, as it is not like the stock market. Stocks are simply a note with a promise, while cryptocurrency itself is a functional part of a larger ecosystem. 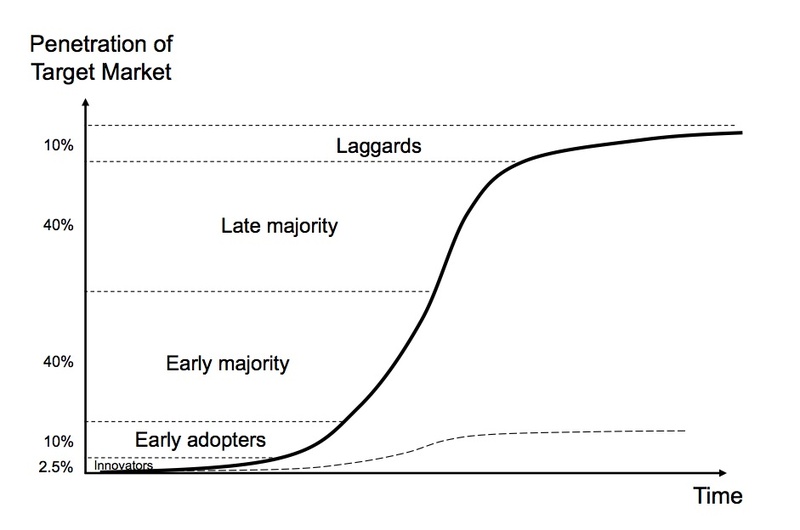 This massive rally we just experienced makes a lot more sense if you look at the charts as something like the typical S-shaped adoption curve, instead of an expression of financial fortitude. Here is bitcoin pre-crash. Lots of things in cryptocurrency are horribly named, which helps sow all this confusion. Bitcoin can complete roughly five transactions per second, and it would take the system about a week to process the same number of transactions that Visa can clear in a couple minutes. It is not a currency, it is not used as such and no one who knows anything about this space would ever say that it is a replacement for fiat money in its present state. Bitcoin is a store of value—a global savings account, if you will. Ethereum is a software platform that companies like Cisco, JPMorgan and Microsoft have pledged to build the next generation of business applications on. All these coins are like start-up companies attacking different markets, but with their own little ecosystems. “Mining” is another example of a poorly named section of this industry. Mining coins is how the system runs, but that word leaves out a crucial aspect of mining—one that I believe is more important than obtaining new coins. “Mining” means that you have a piece of equipment running complex algorithms to confirm pending transactions in the system, and miners are given coins as a reward for keeping the system humming. Supply and demand are literally linked by code in a blockchain economy, ensuring that runaway inflation is not (theoretically) possible. So if you are one of those people delighting in the crash of an economy that you didn't really know much about prior to a month ago, understand that you're letting imperfect monikers lead you to conclusions which are not based in fact. Yes, plenty of libertarian-minded folk want to build cryptocurrencies that can replace fiat—like bitcoin cash aims to do—but no one in their right mind would suggest that we're anywhere close to that being a possibility, and pointing to one market correction that was long overdue as proof that the entire market is bunk makes you look naïve and uninformed. Not to mention, the people getting slaughtered today are those who just dipped their toe into the market through the only mainstream exchange in America, Coinbase. Its downloads exceeded that of Instagram at one point this past month, as a wave of newbies bought cryptocurrency off of its Thanksgiving bump. It seems as if this mainstream ire is directed at the libertarian-minded folk who want to replace the international monetary system, but they're doing just fine, as they got in so early that bitcoin would practically have to go to $0 for them to lose money. You're laughing at people who took a leap of faith on something they didn't understand, and got burned. That's not cool. It's fine to raise doubts about blockchain technology and cryptocurrency. Anyone who evangelizes anything should draw your skepticism, but one correction is really not that big of a deal in the larger picture. Bitcoin has crashed by 80% five times, and it keeps rebounding. Market corrections are a sign of a healthy market—it means that people are taking profits, and some of those usually go back in again. If anything, bitcoin's continued meteoric rise would be a bad thing. Financial markets are imperfect indicators of the information they aim to reflect. Just because a stock, commodity, or cryptocurrency crashes doesn’t necessarily mean that the underlying fundamentals are bad. This wave of new sign-ups pushing Ethereum and Litecoin to all time highs simply because they looked cheap next to bitcoin in Coinebase’s app was bound to tank the market. Humans make trades, and humans are not always logical. Markets run off emotions, and cryptocurrency is no different. If you’re one of those people claiming this correction marks the end of cryptocurrency, then you’re reading too much in to a situation that you simply do not understand.